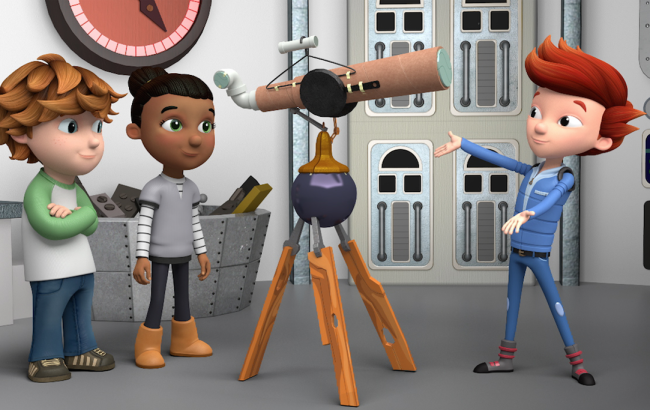 PBS Kids launched a brand new series on February 15 called ‘Ready Jet Go’ which is set to inspire the younger generation of scientists, explorers and curious minds. We felt it was important to share about this show on our platform after reading more into what the series is about, and how we believe it can play a huge role in dismantling stereotypes often pushed upon girls and boys from a very young age through the media. The series has 4 main characters, 2 boys and 2 girls: Sean, Sydney, Jet and Mindy. Oh, and we can’t forget their pet (rabbit? kangaroo? combination of both?) Sunspot. Jet is from another planet who leads the stories and adventures. Together this crew use their imagination and curiosity in trying to navigate everyday experiences like doing chores but in a more clever way using scientific methods, as well as more adventurous experiences such as going to Mars. 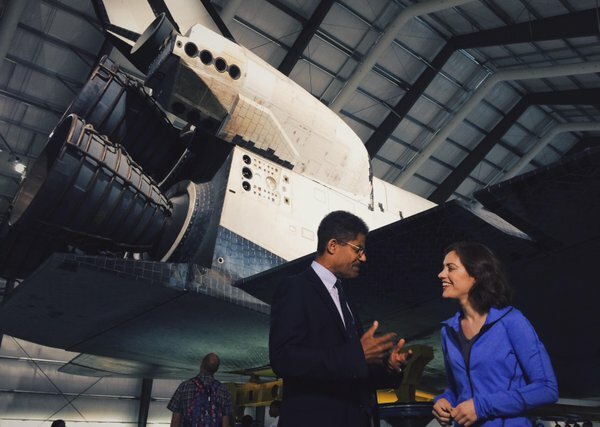 Aside from the animated aspect of this show, there is a “real life” component, hosted by Jet Propulsion Lab astronaut Dr. Amy Mainzer, who teaches young viewers about space exploration as well as scientific concepts such as infrared light. The visibility of a young, female astronaut like Amy is a big deal. Not too long ago we shared the story of NASA’s latest astronaut class being 50/50 gender equal for the first time in history. Aside from the fact that they are there because of their merit (it’s not as if anyone can bribe or scrape their way into NASA now!) it also represents a concerted effort on behalf of arguably the most recognized brand in space exploration to up the diversity stakes. 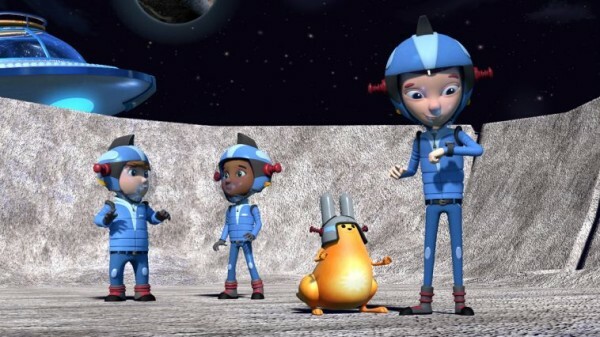 In a sort-of “trickle down” effect, if you will, PBS Kids’ ‘Ready Jet Go’ is setting girls up with the idea that they can be astronauts and it is not just a “boys job”. 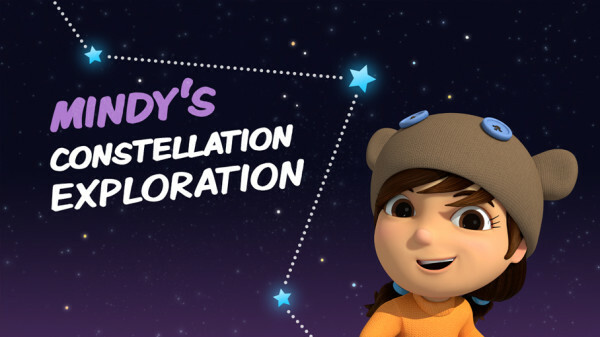 In an interview with Forbes about the show, Lesli Rotenberg, general manager of children’s media at PBS, said the network believes ALL kids are natural explorers and that is what they want to nurture. “Our motto is, ‘If you can see it, you can be it’. The idea is to become a lifelong learner. They don’t all have to become scientists, but lifelong learners about the world,” she said. Their target audience is ages 3-8, which is a crucial time in a life of a child. “[This is when they] are making their decisions about whether something is for them or not for them. Do they ever see anyone they identify with in (science) careers?” she added. The leading expert on the effect of kids media in the life of a child is Geena Davis and her Geena Davis Institute on Gender in Media. They have become the industry’s leading voice on the gender bias that exists on a number of levels in media, most notably in the representation of female characters on screen. As a beloved Hollywood icon, she is able to easily infiltrate the studio system with her groundbreaking research, which she told The Observer has had a profound effect on those who are confronted with it. “We’ve actually conducted a survey of everyone who has heard my presentation. 63% said it impacted two or more of their projects and 41% said it impacted four or more of their projects,” she said. She has often said in interviews that it is not necessarily that the entertainment industry is sexist as such, it’s just that people in powerful positions aren’t aware of the gender bias that has existed in Hollywood since the 1940s. It is also this bias that sets up a dangerous and limiting outlook for children from a young age when the stereotypes are shown even in kids entertainment. Geena says it is important for parents to be actively engaged in what kids watch. “I recommend, what I’ve done with my own kids, is whenever I can, watch with them, especially when they’re younger. I am media savvy, so I can comment on what they’re seeing; ‘Hey, did you notice there was only one girl in that whole group of people doing whatever is? Or, do you think a girl could do that Or, why do you think the girl is wearing that if she’s going to rescue somebody?’ As a result, they actually learn to notice when girls aren’t being treated equitably on screen and it will take away the damage that seeing those images causes if kids actually learn how to watch media judiciously,” she said. The importance of having equally powerful narratives for female as well as male characters in kids programming is going to have a major impact on a child’s future, and it is something networks are taking note of. While there are still plenty of the types of shows mirroring the “Disney Princess” ideology, we are also seeing shows like Disney Channel’s ‘Doc McStuffins’ and Nickelodeons ‘Dora the Explorer’ which infuse diversity, agency and career aspirations in a lead female characters. ‘Ready Jet Go’ is another vital voice for kids in mainstream entertainment, and with the added layer of real life astronaut Dr. Amy Mainzer giving girls a visual interpretation of what astronauts look like today, we are excited to see how it will be received by children and parents alike. If you don’t have PBS Kids, you can watch videos from the series on their Youtube Channel.